My friend, Seamus Gumbo, is looking to sell his spot in Caledon Tanglewood. (He accepts inquiries by notecard. There you go Seamus, a free advertisement for you!) Seamus has inquired about my guesthouse in Laudanum for when he needs future lodgings as he enjoyed his previous stays there. Alas, I have sold that property. It was nice to have the guesthouse and several friends took advantage of my offer of a free, temporary place to hang their hat while visiting the steamlands in general or Winterfell in particular or while they were in-between homes or worlds. Of course, there were times when the guesthouse was empty for weeks. Once I decided to consolidate my holdings, it made financial sense to let it go. Still, it was not an easy decision. I have sold a couple of other properties too as I reorganize. It’s the first time since I settled in the Steamlands that I have sold property. It is quite different from selling Mainland parcels. The procedure for land sales varies from one Steamland nation to the next and the whole matter can be confusing. I definitely made some mistakes along the way and, I fear, ruffled a feather or two. I shall handle these things differently in the future. Another “getaway” is my seaside retreat in Caledon Cape Wrath. The house is on a most isolated spot at the bottom of cliffs which separate it from the rest of Wrath. I own three parcels there. The houses sits on two of them. The third lot I have used for various purposes. In the past I have docked my ship, the SS Explorer on this spot. I also hosted a stop for the former Cape Wrath ferry, the local line that no longer operates. I have now put this single parcel up for sale. I am hoping someone who appreciates the isolation of the spot and is looking for a quiet place to retreat to will take it. Possibly a Wrath neighbor might want it for primland. It is a 1024 double prim but a small spot in a way as it is partially underwater. Of course the engineering knowledge of our day allows one to adapt the parcel to full use should it be desired…just as my house next door sits upon a man-made support platform, though the grass and trees do hide it well. Oh, by the way, if you’re interested in parcel No. 3 please contact me by notecard inworld. There is no purchase fee involved. Still another retreat of mine is located in the Fruit Islands chain, a place that belongs to another time, the 21st century. My beach house there is quite private, only the very occasional boat passing by through the narrow channel. I have placed a lighted buoy at one entrance to the channel to help with the tricky navigational situation one encounters there. I have one more home, in New Toulouse, a community that straddles the 19th and 20th centuries. I used to live downtown in a big, old house that had seen better days but I have recently moved to a new, Victorian-style neighborhood in Jardin parish. It is a very nice area with stately homes and a public aviary. There are nice places to sit and watch the ocean and the sky at either end of the parish should you wish to visit the neighborhood. Unfortunately I have not had much time of late to spend at my new home in Jardin. In fact, it sits empty at the moment. I have hired a contractor to turn the house around 180 degrees so that the tower faces the ocean. Once that has been accomplished I shall settle in. In fact, this undertaking is now at the top of my priorities list as far as personal business in this world is concerned. Just as soon as I find the time. I still operate The Evergreen Pub in Caledon SouthEnd. Built of brick and mahogany with a wood floor and tin ceiling, the pub is a quiet place to sit and chat, read or just listen to the music. Visitors can change the station on the radio over the bar and there are many stations and styles of music to choose from. The Evergreen has always been my baby. It has moved with me from town to town on The Mainland and then to The Steamlands. I no longer keep a private office in a commercial building as I have an office or study in some of my homes as well as the official Ambassador’s Office. But I do miss the offices I used to have in the old Steampunk Explorer buildings in Laudanum and Austral. The group has closed most of its offices but still has two, in Caledon Tamrannoch and Academy of Industry (New Babbage). I remain as Chairman of the group and I provide the land for these offices. But the Executive Director and co-owner of the group, Boston Steampunk and I have been discussing whether to close these last two offices. Of course, the discussion has been going on for a few months now without nearing any decision. We don’t really need group offices as information can be sent out to members via group notices…but we just like having them. From a personal standpoint, my only motivation to close the offices is to save a couple of bucks…but I’m just not all that motivated. I actually have looked at my time away from this world as a good thing in one sense – it has put off any decision on this matter. Well, we will see what happens. Maybe a decision should be made by the fall. Of course, in the spring I told Mr. Steampunk we should make a decision by the summer. I think my indecision amuses him. Knowing how my mind works, the act of putting this on paper might push me to finally decide. 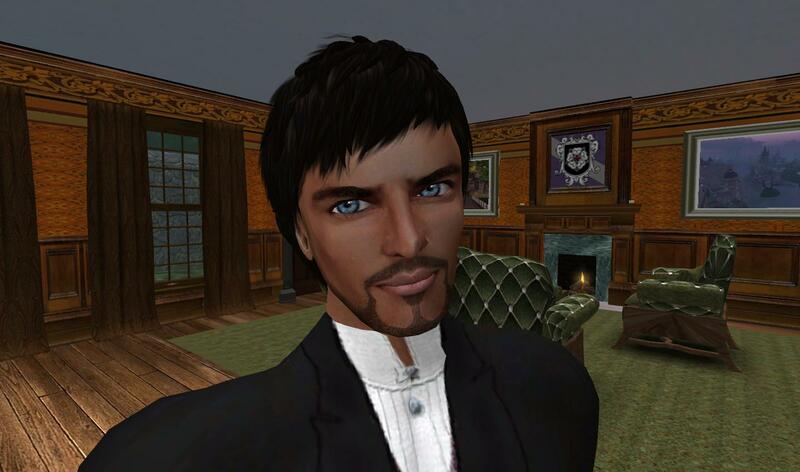 One bit of news regarding my land holdings… The parcel that hosted Ambassador’s Chapel in Ebonshire, which I co-owned with Addison Greymyst, has been sold. Mr. Greymyst also had been rethinking his holdings and, as much as we enjoyed hosting the chapel and visiting it, we decided to let it go. But, though our priorities have changed, we both have said that we would like to work together on other projects in the future. The above summarizes my holdings at the present time. I am not looking to expand at the moment but I do not rule it out in the future – near or far. The reorganization of my land holdings – selling off a few parcels, swapping others – is meant to downsize my land portfolio for now, to insure I am getting the biggest bang for my buck and to be in a position to purchase land in the future should the need arise for some new project or should fancy strike.